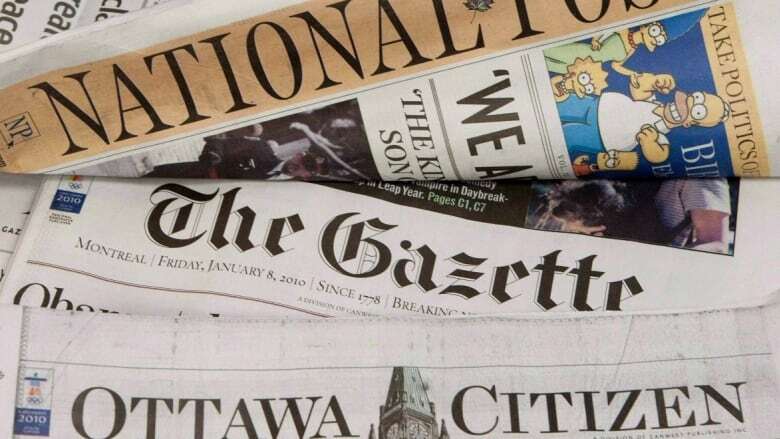 A tax credit Ottawa is promising to encourage more Canadians to pay for online news will roughly cover two months of a digital subscription fee. The tax credit is one of three components of a $595-million, five-year boost for the ailing media industry promised by Finance Minister Bill Morneau in last week's fall fiscal update — along with tax credit for the labour costs news companies incur to produce original content and offering charitable status to non-profit media organizations. The tax credit will be worth 15 per cent of the cost of a subscription, although Finance Canada spokesman Jack Aubry says the actual dollar amount someone will save depends on the cost of a subscription. For example, Aubry says someone who pays $200 a year to get access to a news site online would be entitled to a tax credit worth $30. He says the government believes the tax credit is needed to encourage more Canadians to subscribe to online news and help media organizations transition to a more sustainable business model. John Hinds, CEO of News Media Canada, which represents the newspaper industry, says there is "no silver bullet" that will save Canada's news industry as it struggles with the transition to digital, which has seen advertising revenues fall and subscribers abandon ship. But before the government's announcement, Hinds says several newspapers asked their readers about the idea of a subscription tax credit and found it was well received. "It's about encouraging people to pay for news and giving them a fiscal incentive to do that," he said. "Part of the challenge we've had as an industry is people don't want to pay." Tax credits to encourage behaviour are common, with everything from home ownership to volunteerism promoted by offering various credits. But they don't always work. The subscription tax credit is meant to be temporary but no further details have yet been decided. Hinds says there are still a lot of details to be worked out such as which subscriptions would be eligible, whether you can claim it for more than one subscription, and if there is a maximum benefit per household. The cost of digital subscriptions varies greatly depending on the site, with some offering a payment per story, others daily, weekly, monthly or yearly access and still others providing online access to those who buy the print version. The government intends to appoint a panel of journalists to a committee to recommend eligibility and parameters for the media package but it seems no further details on that will be available until the next federal budget. The Conservatives are livid at the government's media package, arguing the Liberals are trying to buy journalists off ahead of the next fall's federal election. Hinds said there is some indication critics of the package are less concerned about the subscription tax credit because it targets consumers of media rather than journalists directly. However a spokesman for Conservative leader Andrew Scheer said the party's biggest concern is the make-up of the panel that will decide which organizations are eligible for any parts of the package.